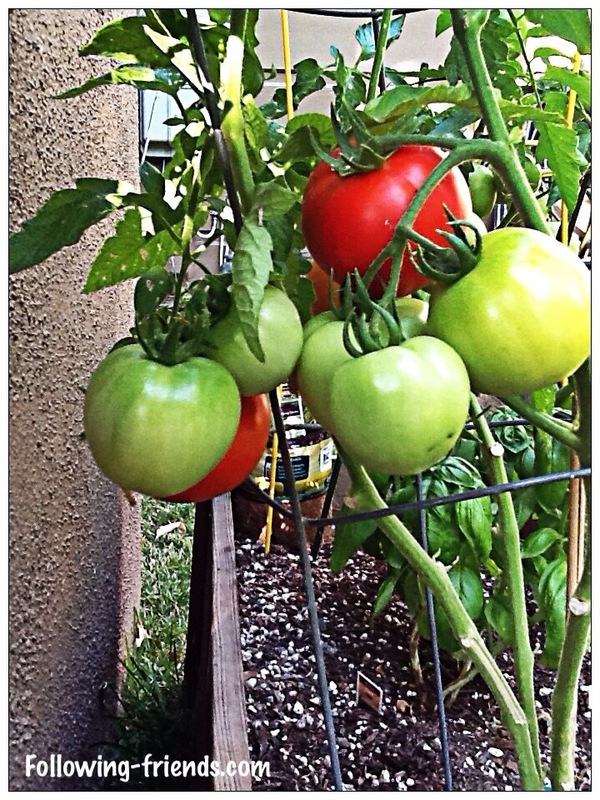 My tomatoes are ripe and ready to eat. 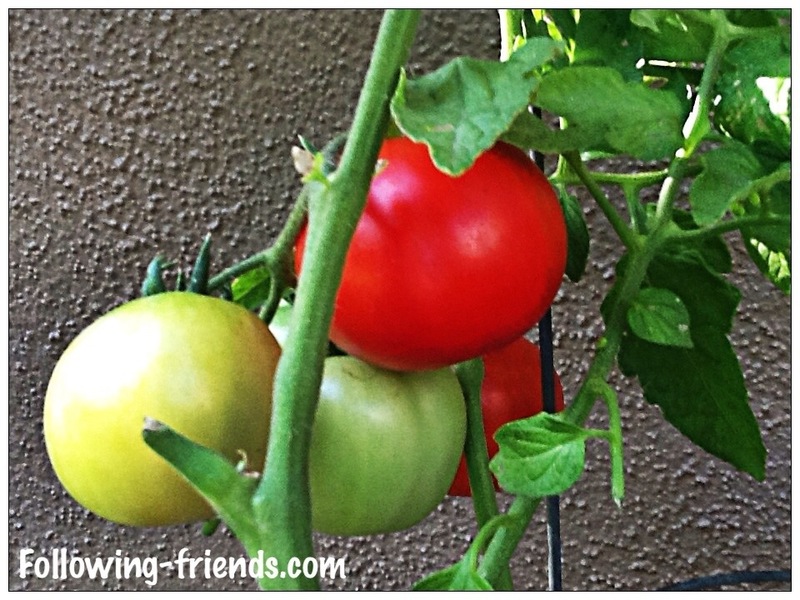 I am following my daughter, Lindsay’s advice on how to care for tomatoes. She said to trim the lower branches, keep them in the sun, water about once a week, feed them tomato food, and remove sucker branches. They seem pretty happy so far. I bought them about 2 months ago at Costco for $2.00.